Let the world know about your skills. 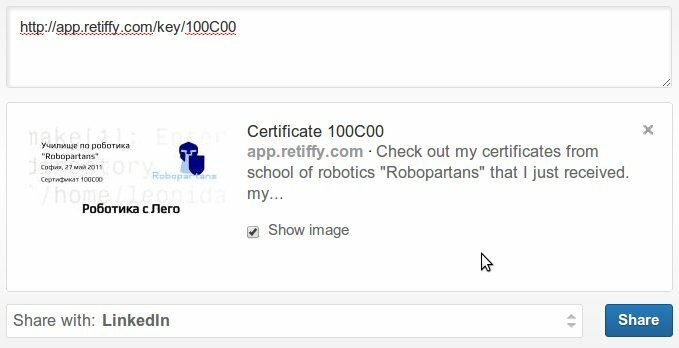 Retiffy allows you to easily issue and share unique electronic certificates to your students, participants and clients. Create in a few minutes and share all over the internet. 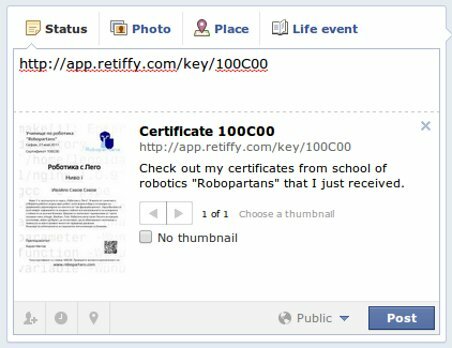 Everlasting electronic certificate that could be automatically shared by your clients on the internet and the social networks. In this way they could promote their achievements among their friends. 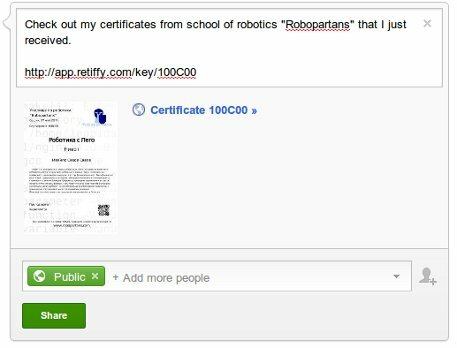 You just need a spreadsheet of your data and you can issue all previous certificates with Retiffy in a few seconds (even if they were officially issued years ago). 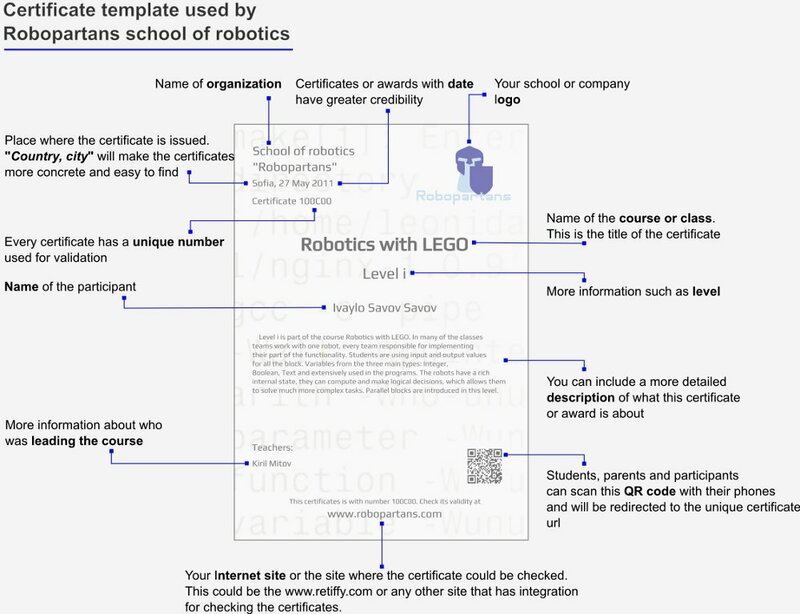 You could also use this feature for the new certificates. Very easy.